Imagine one of the most powerful men in the world was inaugurated into a system built on technology that was eight years out of date. Desktop computers with disk drives, no Wifi, no bluetooth, and an email system that didn’t work 25% of the time. That man was President Barack Obama and those digital systems were the ones he inherited at the White House. Former White House Digital Leader, Tom Cochran, kicked off global technology expert Etion’s first ever Digital Transformation Congress on Thursday, 26 July, with a frank talk about the digital revolution that needed to happen in the Oval office — and by extension, in crucial systems of governance and business around the world. It was Cochran’s responsibility to digitally transform the White House, without impacting president Obama’s work. The philosophy of “yes we can” became more than just a campaign slogan. Through reducing the levels of bureaucracy and embracing digital transformation, the slogan turned into “yes we did”, said Cochran. With Cochran as a keynote speaker, Etion launched a sizable rebranding strategy alongside other notable international and local speakers and panelists. These included Teddy Daka, Group CEO of Etion, Maeson Maherry, Chief Solutions Officer at Etion, Jamie Brighton from Adobe, with a keynote address from Pinky Kekana, South Africa’s Deputy Minister of Communications. 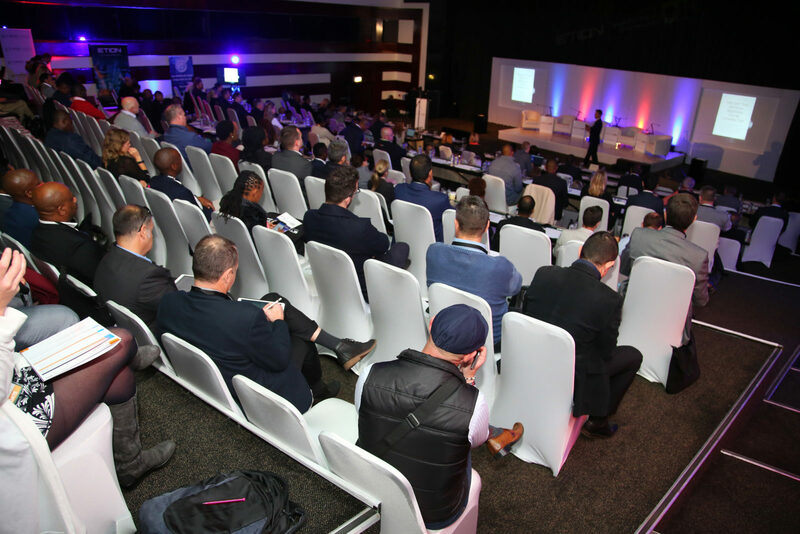 The calibre of these speakers indicated the level of the digital education taking place in the auditorium rooms at Gallagher Estate in Johannesburg. “Change is what we do and this rebrand is a way that we are reinventing ourselves from the inside out,” said Etion CEO, Teddy Daka. “It’s not just a new name, but a new way of thinking and working. “Adapting to a changing world, we’re combining all our expertise into one, to give customers the secure digital solutions that customers are looking for,” he said. Over the years, Etion has grown both organically and through acquisitions. Initially known as Ansys, the JSE-listed company now incorporates its accumulated entities namely: Etion Create (formerly Parsec), Etion Digitise (formerly Ansys Rail), Etion Connect (formerly Tedaka) and its newly-acquired Etion Secure incorporating Law Trust. Etion will now be able to work within the framework of its customers’ existing systems and introduce radical digital innovation, through an ongoing process of improvement. Legacy or initial systems do not need to be replaced, but they can be revolutionised to work with current day digital needs, in order to enhance customer experience and satisfaction. “Conversation is the beginning point of change,” said Etion’s Maeson Maherry, adding that a continuous discussion about changes to better our digital solutions is important, in order to move towards paperless business practices. “This ultimate goal benefits the earth, smooth business practice and customer satisfaction,” he said. This is particularly crucial for legacy systems, said Daka. His example of a public sector organisation where the focus was to digitise legacy documents highlighted its necessity, but also its costliness — and the risk of creating backlogs. It’s easy for companies or governments to cite these excuses as reasons to forego such upgrades, but this could come at greater costs further down the line, said Daka. Seventy-one percent of IT budgets are spent on this exact problem. But it’s not necessary to erase these systems entirely, said Daka — especially if large investments into them had already been made. Instead, a sound strategic vision, along with additional investments in the right technology, could reduce costs and down-time for crucial systems down the road. But it’s not just system failure that can pose a risk to companies. Digital safety extends across many sectors and is used for many different functions. Because mines are becoming dangerous work spaces, for example, Etion has devised a rope monitoring system designed to oversee the cable used to pull equipment up and down out of a shaft. From time to time these ropes may snap, causing injuries and fatalities . Etion’s technology monitors the state of the rope, creating a safer work environment. “On the productivity side, products that assist train drivers to direct a train (for example) have been developed. The software incorporates a monitor that has all the information on where the train is going, taking into consideration the inclines and declines and calculating the safest speed for that route,” Daka explained. Crucial at the conference was a discussion around synergy between the private and public sector. In bringing the two together South Africa, for example, could eventually find itself on a digital trajectory comparable to the leading systems of the world. “Why is it important for us to disrupt our systems by recalibrating and asking questions like what will drive the digital transformation?” asked Dr Bennie Steyn, Chief Technical Officer at Etion.